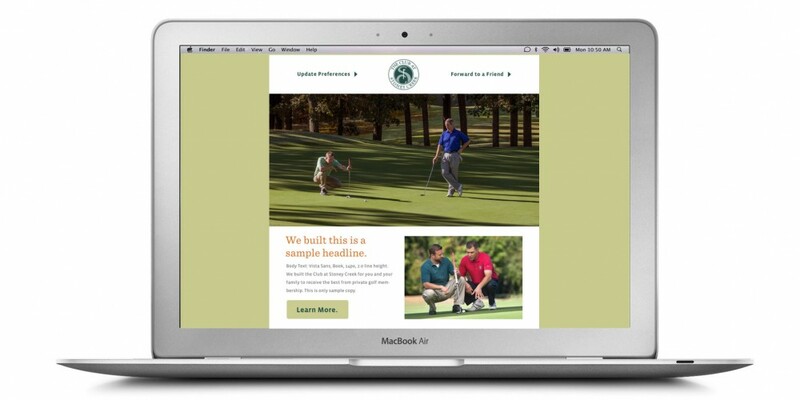 Weaver Investment Company repositiond The Club at Stoney Creek brand to fill a gap in the Triad, North Carolina golf market. To do this successfully, Stoney Creek neededl focus on branding, experience and marketing. 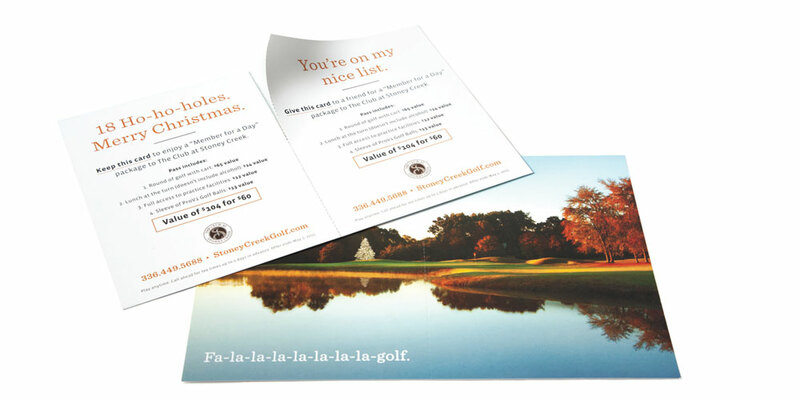 We’re reinventing private golf in the Triad. 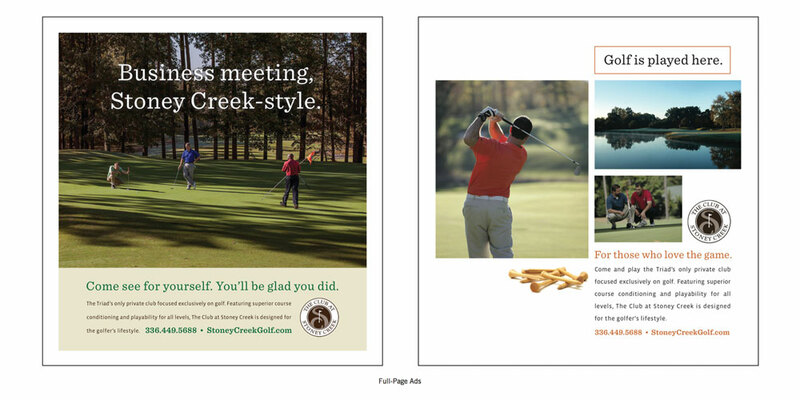 The Club at Stoney Creek provides a “first class casual” private golf experience – for those who love the game. At Stoney Creek the private golf club is being reinvented for today’s golfer who’s looking for remarkable golf and first class treatment without the pretense of a traditional country club. 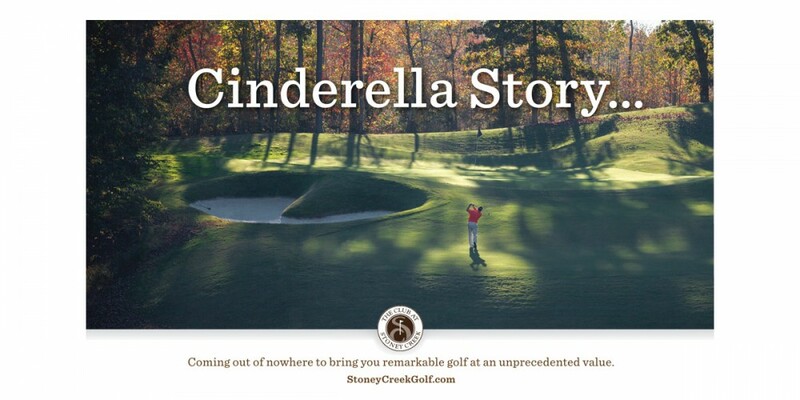 Stoney Creek’s ideal members are people who want a high quality golf course facility, a first-class casual golf experience and a private golf club, but not a country club. 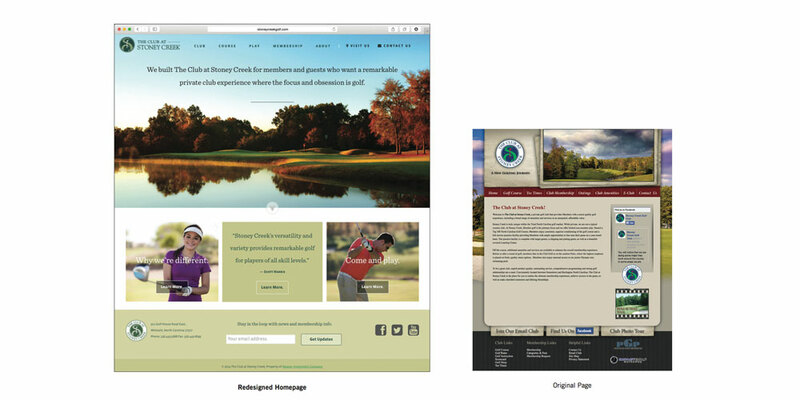 This project included the following: strategy, brand standards, photo shoot, print and web ads, sales folder and inserts, website redesign, SEO, direct mai, social media and email marketing. Differentiate: Stoney Creek will differentiate itself from other golf clubs in the region by being a private golf club and NOT a country club. 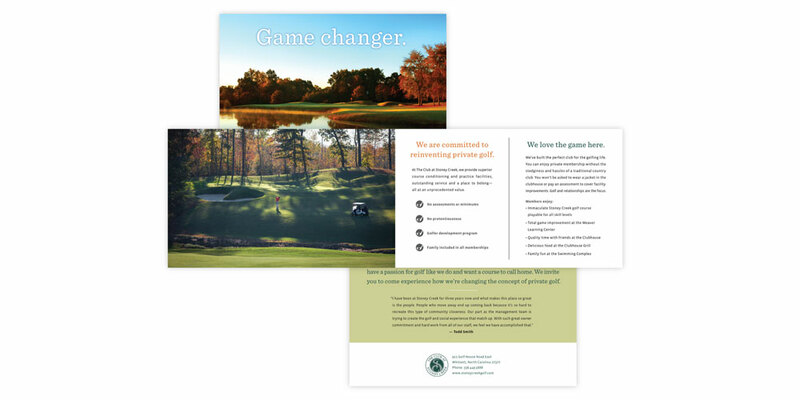 Increase Value: The club will increase the value of the golf product through enhanced customer experience for members and guests, and refined branding. Top-Down Vision: Members of the Club at Stoney Creek will catch the vision from Mike and staff to become ambassadors and cheerleaders. Standout: Stoney Creek will implement signature experiences and benefits that will make it standout from other choices for Triad golfers. strategy / brand standards / photo shoot / drone video editing / print and online ads / sales folder and inserts / website redesign / seo / direct mail / social media branding / email marketing. *The website was the receipiant of an 2015 American Web Design Award.